Hideo Yoshizawa will be at next year’s MAGFest talking about games like Ninja Giaden and Klonoa. Guess it's probably been a very long time since he's been to a fest or con... thing? And to think I found out only because I was googling his name for research. And then I went and bought myself a badge asap! I currently don't know what day/time he'll be appearing and if he'll do signings but I really hope he'll do signings. 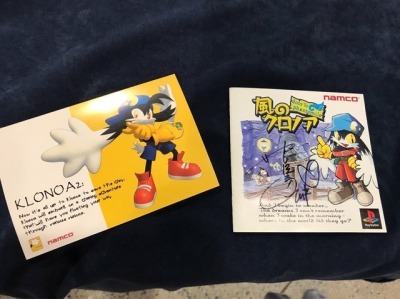 I would love to have him sign one of my Klonoa game covers (or all of them but that's overkill eheh..) and tell him for a second how much I am thankful for Klonoa. This is something I thought I'd NEVER get a chance to do but heck if I'll let this slide away! I am going to create a pair of Klonoa ears to wear in some sorta minimal cosplay too. I'll be sure to share what goes on when it happens here too. This will be both my first time to Maryland and MAGfest.. I've heard it's a fun time for game lovers. So just in case signings happen I am going to bring my Japanese copy of Klonoa: Door to Phantomile. Yoshizawa-san he around returned 2018 next year teacher something. His panel (It's called the Ninja Gaiden panel) will be held on Friday, January 5th from 4:00 - 5:00 PM and an autograph session from 5:30 - 6:00 PM the same day. Today was so amazing it felt like it could only happen in a dream… but it was really real! I got to meet the creator of Klonoa, Hideo Yoshizawa, at MAGfest. After his panel discussing Ninja Gaiden, I approached the table he was at and thanked him for Klonoa and the inspiration it’s given me. He smiled and said thank you. As I was about to leave the ballroom, content with that, he came from behind and held out a Klonoa 2 postcard and said “present!” I was almost moved to tears. Soon, the autograph session was held and I got the manual for Door to Phantomile signed and a selfie with him. 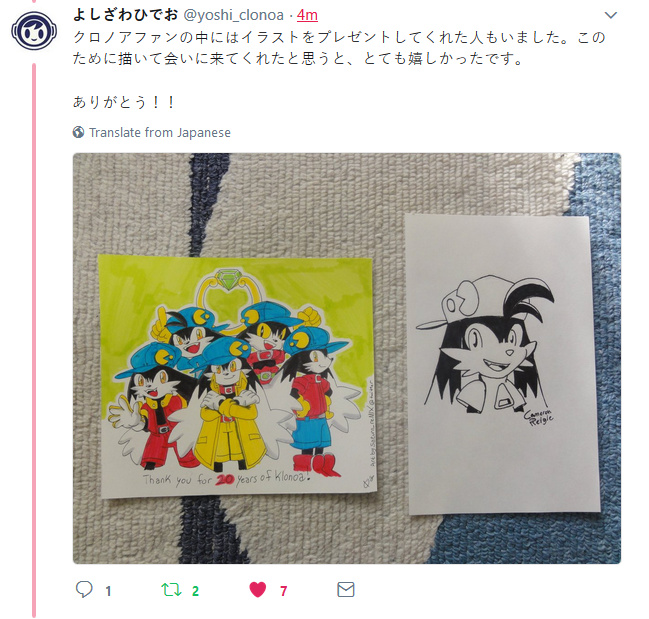 On top of that I gave him a drawing I made of all of Klonoa’s designs together and said “for you!” He was in awe and thanked me. The memories made today are nothing short of priceless. All the stuff I got at MAGfest! I bought the PlayStation logo shirt and the Freedom Planet pins. All the stuff to the left were freebies. 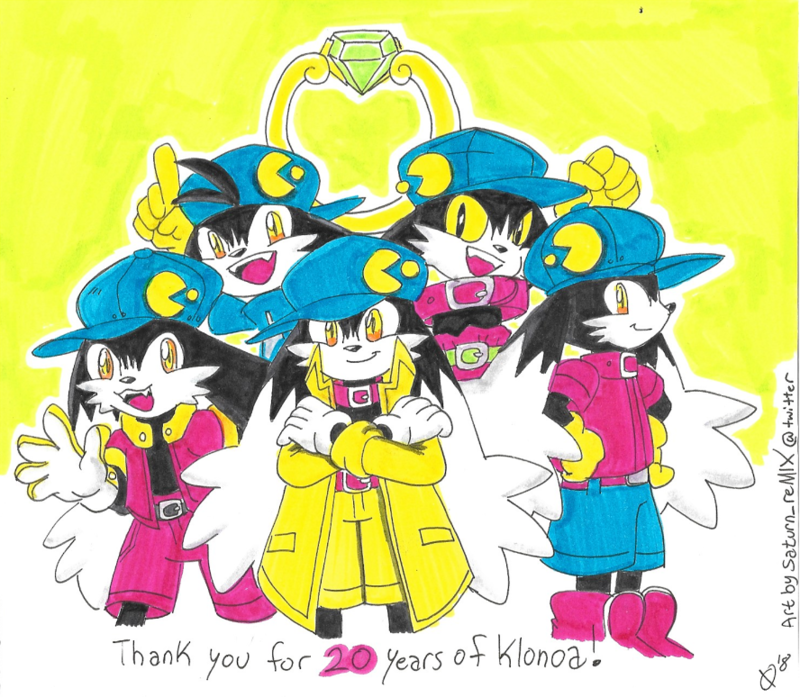 And.. you know the Klonoa stuff. Finally, I recorded the entirety of the panel. It's about Ninja Gaiden but it was so cool to learn about a game I've never tried playing and see the creator of Klonoa in person. Yoooo!!!! 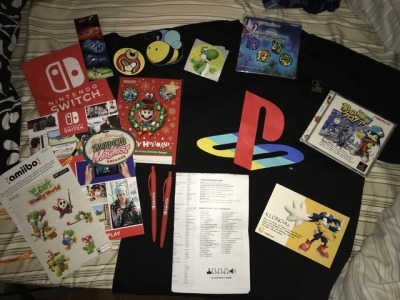 Those are quite the stuff you got from Magfest, and especially from Mr. Yoshizawa, that sounds amazing! Yoshizawa also got another drawing from a fan in addition to mine. 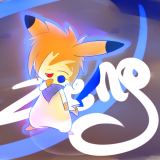 That's Amazing that he accepted your fan-art, Man one of these days I wanna try going to a convention. ;w; I've always wanted to go to one but I never have the money for it..